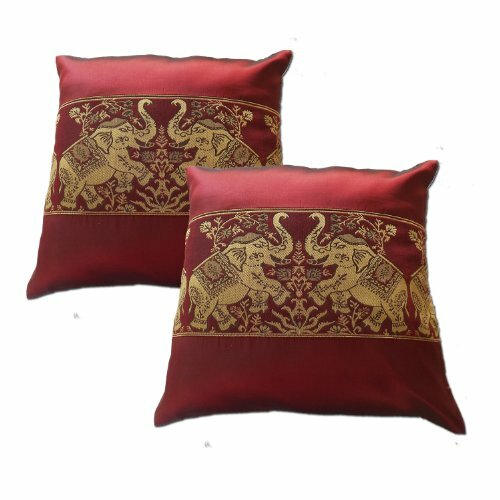 2 THAI SILK DECORATIVE THROW CASES PILLOW COVER MULTI OR FOR IN YOUR CAR Product type: pillow cover Material: Thai silk Dimensions 16 inches x 16 inches Pillows are not included The pillow case must be dry clean or hand wash Hidden zipper in back. If you have any questions about this product by BestofThailand, contact us by completing and submitting the form below. If you are looking for a specif part number, please include it with your message.